Azure Family Paying Guest House i Varanasi, Indien: Reservér nu! 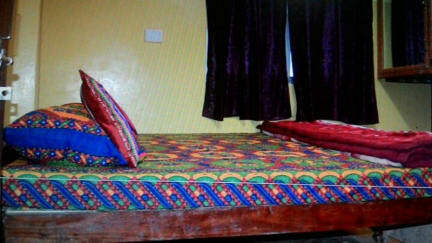 We offer you a comfortable stay for budget travelers with all basic needs like hot water, free wifi etc. Breakfast, lunch and dinner is available on demand. Hindi and Cookery courses are also offered . You get more than what you are paying. 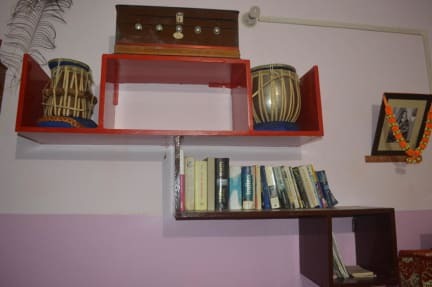 Rooms are big, clean and spacious with a clean large bathroom, shower and western loos. Free wifi is a bonus as well as easy accessible area by car and auto rickshaws. Large rooftop area provides you a place to do your stuffs, practice yoga or lounge in.